Modern dentists try to focus on helping all of their patients maintain their teeth for as long as they can. 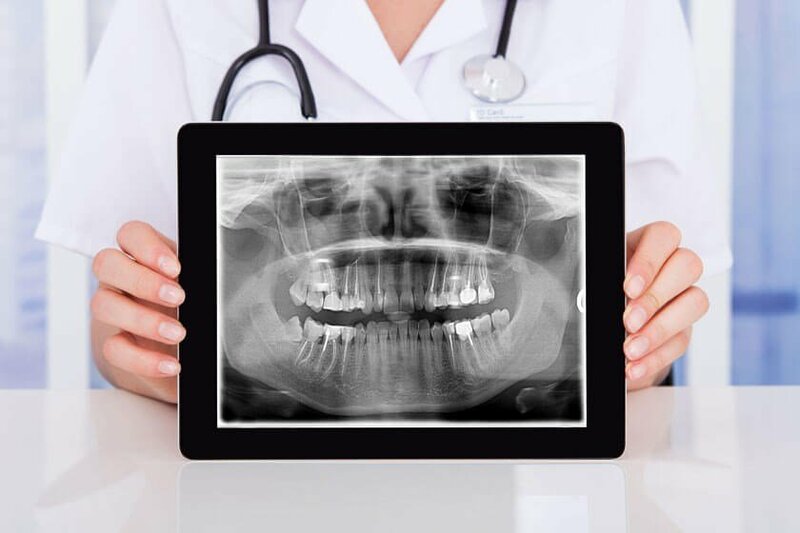 As patient education, dental health awareness, and technology have increased in recent years, patients have fewer lost teeth compared to past decades. Nevertheless, missing teeth happen and lots of people believe it's not a problem if they have lost a tooth so they don't need to get it fixed. However, a missing tooth or teeth are a deeper issue than a cosmetic flaw; gaps could lead to significant issues. The longer you wait to fix a missing tooth, the larger your issue might get. DentalWorks in Canton, MI is experienced at substituting lost teeth with various innovative dentistry choices. Read more on the topic of missing teeth and restoration options before you visit for your appointment at DentalWorks in Canton, MI. If you've heard of atophy in muscles, you know that with no exercise and stimulation, muscles will get weak. The same problem can happen in your jawbone and gums. Keeping the root of every tooth in position stimulates your jaw and gums. If you lose just one tooth, the gum and bone attached to that tooth starts to atrophy. People who have lost all their teeth on the upper, bottom, or both arches may be so affected by atrophy their jaw starts to look small. People who lose teeth, whether it's one tooth, a few, or all their teeth, may also develop adverse impacts in their general health in addition to their emotional health. It can be harder to chew correctly or talk clearly. Patients with many lost teeth might develop image problems. Missing teeth can also begin to impact their life if they begin to stay home rather than go out, which they used to enjoy. Dentists throughout the nation suggest fixing lost teeth so you don't have to deal with the numerous issues that may happen. Perhaps your choice to not treat your lost tooth is a budget problem or maybe you just did not recognize there could be future issues. If you've lost one tooth or more, it is crucial that you start looking into options to replace your tooth. When you try to hold off on getting treatment, the larger your risk for additional gum and jawbone atrophy as well as other problems. Modern replacements are implant-supported restorations, dental bridges, as well as full and partial dentures. A lof of dentists believe implant-supported restorations are the greatest choice to replace a missing tooth or teeth. Technological advances in restorations make implants a great option for replacing lost teeth. The principal reason is that they replace the tooth root in addition to the visible crown of a tooth. Implanted restorations avoid potential bone atrophy because the post is inserted through the gums to keep the bone stimulated and working like it should. Your custom restoration will be connected to the post(s). There are various advantages to choosing an implant-supported restoration. Implanted restorations work and look just like your natural teeth, plus they typically last for a long time. The principal drawback to implanted restorations is a lengthier healing period and price. Despite the added downtime and higher price, implant-supported restorations are the modern method to replace lost teeth. A dental bridge is one or more false teeth that are kept in place by crowns attached to nearby teeth. A bridge is made of one false tooth (or more) with a crown on one or both side of the false tooth. The crowns are placed over surrounding teeth to hold the false tooth in the gap left by your lost tooth. A custom bridge will keep the remainder of your teeth from moving out of place; however, they don't stop atrophy in your gums and jawbone. Dental bridges can last for many years. Bridges also typically cost significantly less than implanted restorations. Partial or full dentures can be made to replace most or all of your teeth on your top, bottom, or both arches. This kind of restoration consists of a set of false teeth, which attach to your gums. Made custom from your digital impressions, modern dentures are manufactured to be natural-looking. Partials may be recommended for those who have lost most, but not all of their teeth. While traditional dentures restore the look and function of the teeth, they don't stop atrophy in your gums or jawbone. People who have non-implanted dentures will have a certain level of atrophy plus a change in the structure of the face. That is just another reason implant-supported restorations are a better choice to replace lost teeth. In the event you have lost teeth, then you need to learn about the danger of leaving gaps in your smile. If you'd like to get more information about your choices, contact DentalWorks in Canton, MI. Our advanced practice offers different choices for restoring missing teeth and we will be able to help you select the treatment that suits your goals and price range. DentalWorks in Canton, MI accepts several types of payment and, when needed, our experienced staff will be able to help you find medical financing. Have your lost teeth replaced with a restoration to avoid facing consequences down the road. Our team will talk more regarding the topic of lost teeth in your intial consultative appointment.